Do you have some XLSX files on your computer that you cannot open? Like most persons who use Excel workbook regularly today, you might forget to create backup copies of your files. This could lead to situations where you have to deal with lost or deleted files. Thankfully, these deleted XLSX files are not lost forever as you can retrieve them with a software program. 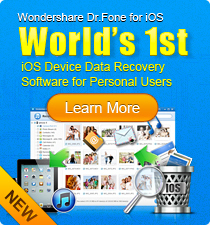 There are several XLSX recovery software programs available, including the Wondershare Data Recovery tool. If you are facing XLSX files losing situations, you need to retrieve the Excel data with a XLSX recovery tool. The recommended tool here is the Wondershare Data Recovery as it has all the features needed to restore documents effortlessly and efficiently. This tool is fully compatible with external hard drive, memory card, USB storage, computer and various other storage devices. Besides XLSX, XLS, DOC, DOCX, PPT, PPTX, PST, MP3, JPG and all regular file types are supported. Get it for free trial now. 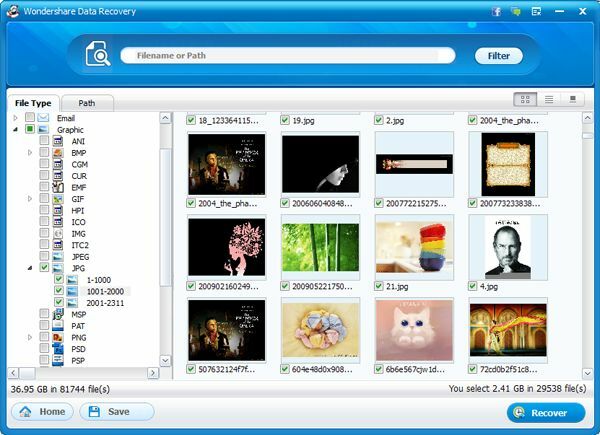 Note: Recover XLSX files (up to 100MB) for FREE with the Windows version. Install XLSX recovery software to an external HDD or a partition your XLSX flies don't reside in. Please follow the easy steps below to recover XLSX files. Choose the wizard mode to recover XLSX files by answering questions one by one. Select Office Document while choosing file types and choose where you lose your XLSX files. Scan and recover XLSX files to another partition or disk. Why You Need an XLSX File Recovery Software? There are times when the system will freeze suddenly while you are editing files due to a virus attack. When this happens, you cannot access all the data files that were opened previously. This could cause you to lose all the data on your excel spreadsheet. Another scenario is that you could delete or corrupt files while transferring them from the system. This could happen when you are transferring some files from the system drive to other storage device such as a pen drive. Wrong deletion and system crash are some of the other ways that you could lose the information on your excel spreadsheets. Download WS XLSX Recovery for Mac software now to recover lost XLSX files in a fast and easy way. Microsoft Excel in 2007 version and later is responsible for creating files with the .xlsx extension. The new technology for Microsoft Excel combines the XML formatting with the features for document compression to make the files far more manageable. The .xls format was the most popular file extension for document spreadsheets until the .xlsx format was introduced in recent years. MS Excel is the most popular spreadsheet application used in personal businesses and professional fields. It has numerous features that allow users to carry out various activities in different fields. You can use this tool to do calculations, graphical analysis, solve different equations and a lot more. This is why the XLSX file format is now used widely to store important data for work files, financial management and so on. These files are generally stored on PC and will be transferred sometimes via portable devices such as USB stick, pen drive, memory stick, removable hard disk drive and more. These storage media usually run into problems such as human errors, software errors and system errors, all of which can result in the loss of XLSX files.